The ongoing litigation between BNY Mellon and the State of New York’s Supreme Court has reached another crossroads this week, as Justice Marcy Friedman ruled at the Manhattan court that claims brought by the State Attorney General Eric Schneiderman are able to proceed, in a decision made on Monday. 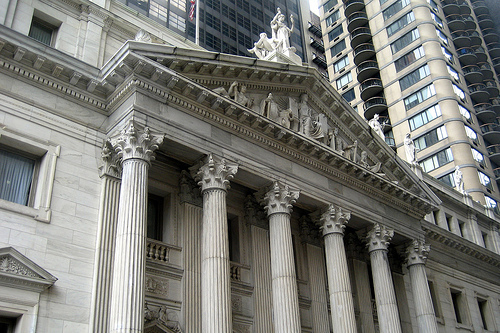 This particular case has a long history, as it took the initial form of an action against BNY Mellon for injunctive relief and damages derived from allegations by the State of New York, the Comptroller of the City of New York and a series of funds which provide pension and other benefits to public sector employees in New York that the financial institution had engaged in a ten year period of illegally effecting foreign exchange transactions for the City Funds, pursuant to standing transactions. As a result, in 2011, Attorney General Schneiderman instigated a lawsuit against BNY Mellon. Subsequently, BNY Mellon made a series of appeals to the court in various attempts to overturn the lawsuit, most of which were denied by the Supreme Court, the most recent of which was a statement by BNY Mellon that the bank believes that there is a lack of jurisdiction in the government taking it to court, arguing that foreign exchange does not fall under the securities laws set out in the Martin Act. This was exemplified in April this year, when Forex Magnates reported that Lewis Kaplan, US District Judge of the Southern District of New York announced a ruling which denied BNY Mellon’s request to have the case dismissed. Arguing against the charges, BNY Mellon requested the dismissal of the case as they believe the US has no grounds to sue. The government is using the Financial Institutions Reform, Recovery, and Enforcement Act of 1989 (FIRREA) which allows it to bring an action for civil penalties against anyone who violates any of a number of criminal statutes, including those prohibiting mail and wire fraud when the fraud is one “affecting a federally insured financial institution”. BNY Mellon argued that no ‘federally insured financial institution’ was affected, thereby nullifying the US government’s ability to charge the bank. In Judge Kaplan’s conclusion, he accepted BNY Mellon’s claim to dismiss the charges of mail fraud but denied BNYM’s argument that FIRREA couldn’t be used by the US government; thereby allowing the case to be held in court. As demonstrated by this Monday’s ruling by Judge Friedman, the previous conclusion did not hold, and the amended and superceding complaint alleges that the bank offered two types of foreign exchange (FX) transaction to the City Funds, its custodial client. The first consisted of transactions in which clients who wished to purchase or sell FX negotiated a price with the bank’s trading desk. The second consisted of non-negotiated transactions, made pursuant to BNY Mellon’s standing instruction program, in which clients gave BNY Mellon standing authorizations to to execute FX transactions without negotiating the price of the purchase or sale. According to plaintiffs, BNY Mellon promoted its standing instruction program by making representations that by executing transactions in this manner it would provide “best execution”, “best rate of the day” and the best rate available to the bank. Plaintiffs complained that the bank intentionally charged its clients the “worst rate of the day” rather than the market rate at the time, and in addition that this type of transaction is far more profitable to the bank than negotiated FX transactions. Between 2001 and 2009, BNY Mellon earned 2.5 base points on negotiated FX transactions, compared with 17.5 base points on non-negotiated FX, profiting to the tune of $2 billion during that decade on this basis. Based upon the court’s holding that issues of fact exist as to whether plaintiffs could have discovered from the trade confirmations and account statements that BNY Mellon could have perpetrated a fraud upon them, the motion to dismiss the fraud and breach of fiduciary duty claims as time-barred was denied. Time barring is a system in which cases such as this must not be older than six years according to common law. As this case spans several years, this matter was brought before the judiciary, and the decision made accordingly due to the level of information available to the plaintiffs. Subsequent to reviewing this information in great detail, the Supreme Court took the decision in a final order dated August 5, 2013 to dismiss the motion subject to terms relating to the various funds, and proceed to serve BNY Mellon with a 30 day period in which it must serve an answer to the pleading.